It has been many, many, many years since I’ve had a set of keys that were “mine”. For a long time we were a one-car family, and even though we have two cars now, we tend to just grab whichever keys are on the hook rather than having designated sets. When I decided to make photo keychains this year, though, I knew I wanted one. So I claimed a set of the van keys as my own and made one for myself too! 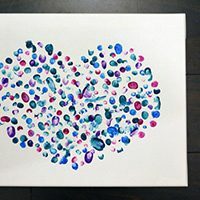 These are so easy to make, but such a fun a gift. Make them for the grandparents or siblings, friends or teachers! Using the foam brush or your finger, spread the glue in the bottom of the tray. Lay the picture on top and smooth from the center toward the edges. It’s okay if your picture is a little too big and curves up the sides. Holding the glass tile between your finger and thumb, spread glue around the edges of the tile. 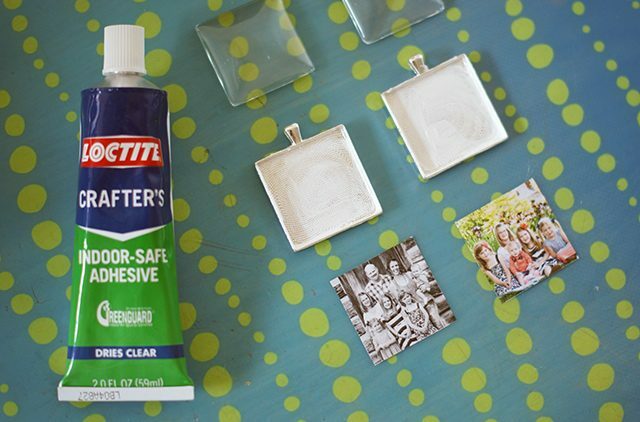 Lay the glass on top of the picture in the frame and use a rag or paper towel to wipe off any excess glue that squeezes out. Attach the key ring and set aside to dry completely. 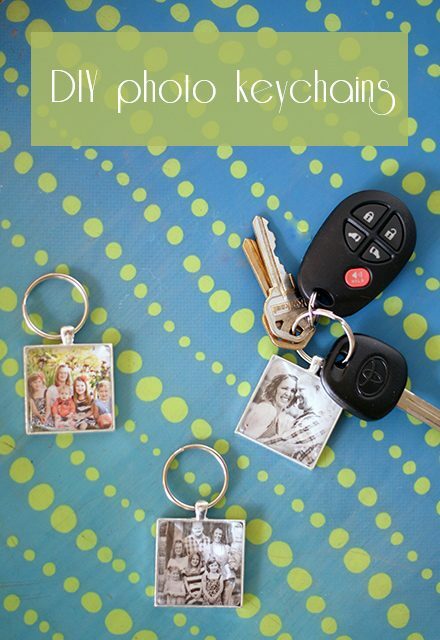 Use ribbon instead of a key ring and turn them into photo ornaments. Buy a necklace kit to make photo pendants instead. Instead of photos, use patterned scrapbook paper. 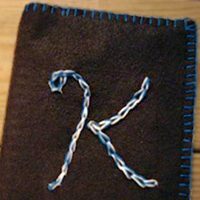 Add a monogram to personalize it! These are adorable! 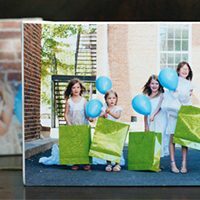 I love gift ideas that are both thoughtful and frugal. Thanks so much for the post, Mandi.